There’s a new name to my blog – “heARTs Creations.” It’s a little shorter and has allowed me to have a domain name. This change brought the question to me: “Do I want to blog for fun or for profit?” I have studied many blogs. Some bloggers have sponsors, thousands of followers, post two or three times a week regularly and take part in many “linky parties.” Having just retired in March, I have very much enjoyed not sitting in front of a computer every day, 8 hours a day. I have been toying with the idea of taking my blog to the next level and asked myself, “why do I blog?” My answer came easy – I blog because I enjoy sharing my craft, creativity and ideas. I love to quilt and will now sprinkle a little bit of travel into some posts. I very much appreciate all my followers. There is definitely a kick to see the many countries some readers travel from to read my posts. I will, therefore, continue in the same vein as I have been – blogging for fun and sharing with the hope that it also serves as an inspiration to some. Besides, I really need want to spend my time sewing. As you can see, I have a LOT of stash to get through! So, please join me on my journey. If you are already a follower – Thank you! I hope you continue to ride with me! 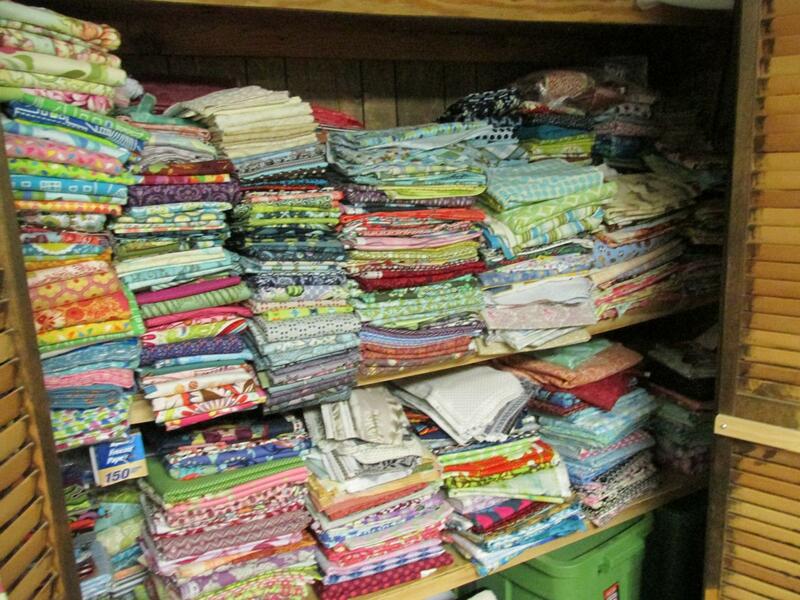 My Fabric Closet – Stacked two piles deep. 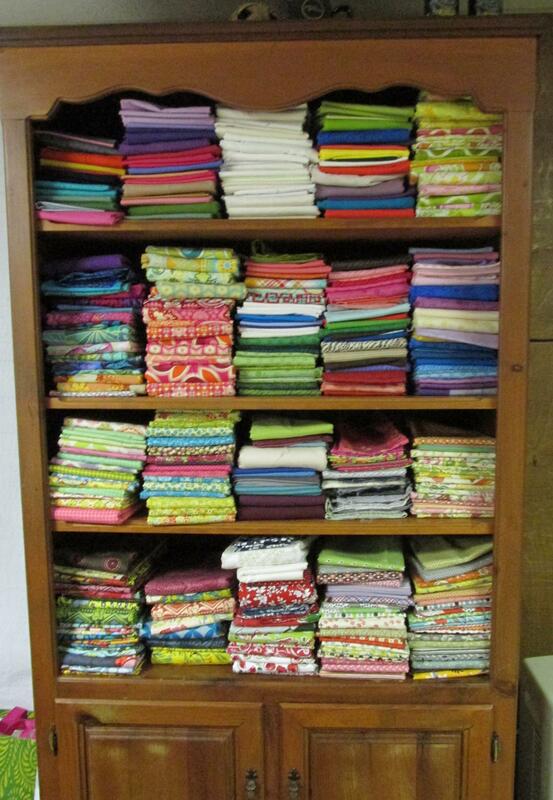 Fabric Cupboard – with solids and a few special collections. Bins – 8 of 12 filled with fat quarters and other cuts. Posted in Fabric, Quilting, Stash and tagged Art Quilt, projects, Quilt. Bookmark the permalink. Quilts and travel are two of my favorite things! I’ll look forward to following your adventures in both! Thank you! 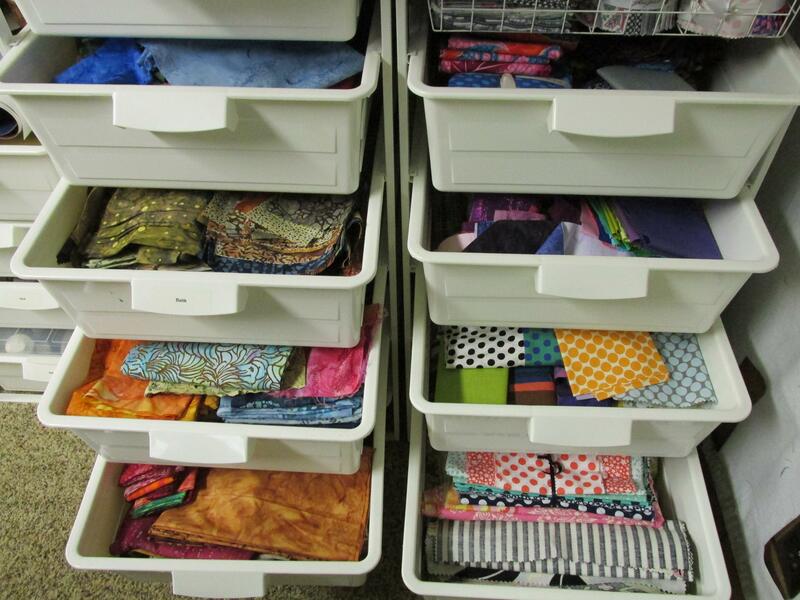 About a year ago I refolded ALL my fabric – exhausting but worth it!